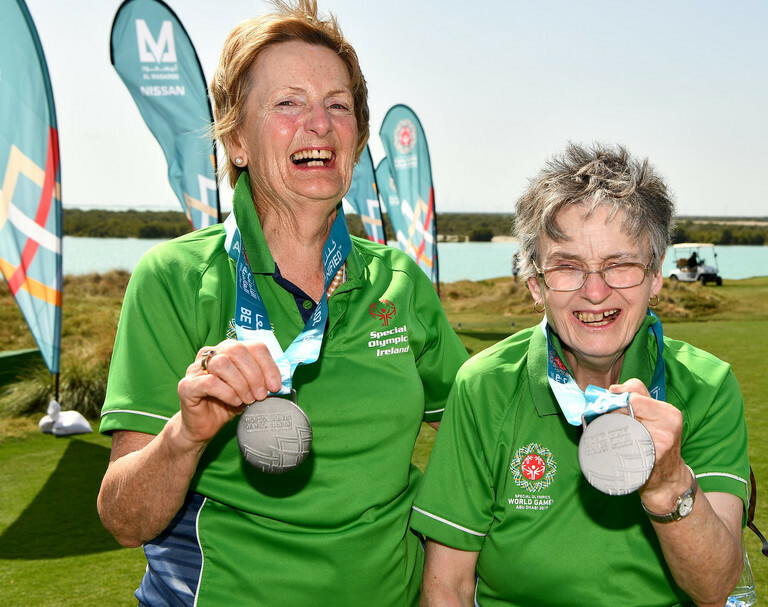 The medals continue to flow for Team Ireland on the final day of the Special Olympics World Games in Abu Dhabi - and there's one pretty familiar looking name that's taking home a gold medal in the golf. Mr S Lowry strode from the Yas Links golf course a winner this morning, but the title won't be coming home to Clara, County Offaly, but rather Loughrea, County Galway, as Simon Lowry channelled namesake Shane to secure himself that most coveted metal piece. It was a fine day for our local heroes on the fairways, as Team Ireland's golfers picked up no fewer than four gold medals. Andrew Simington and Mark Claffey, both members of Blackrock Flyers SO Club picked up a gold medal each. Simmington was partnered by teammate Phyl Kelleher in winning his 9 Hole Alternate Shot match up, with Claffey taking glory in the Individual Stroke Play event. Claffey described himself as being "so happy to win the gold". Completing the golden foursome was Elm Eagles lad John Keating, who also picked up an Individual Stroke Play win. 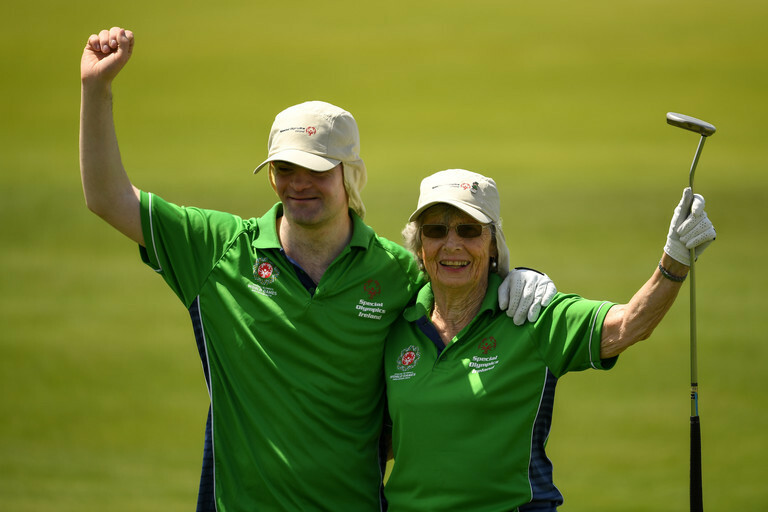 There was also joy for Ennis woman Mairead Maroney - the oldest competitor at this year's games at 70 years young. Mairead and playing partner Jean Molony picked up a silver medal in the Alternate Shot event. Ireland's medal tally now stands at a staggering 86 - 30 of which are gold. Amongst the haul, four bronzes for Templeogue gymnast Eimear Gannon who was presented her final medal this afternoon by X-Factor judge and former Pussycat Doll, Nicole Scherzinger. There was joy on the basketball court as Ireland's women picked up a team gold. The World Games are now into the 51st year, with the first Games taking place in Chicago in 1968. The United Arab Emirates are playing host to the fifteenth edition of the Games this year, 16 years after Dublin hosted back in 2003.